MAN 59 yo, EPIGATRIC PAIN AND VOMITTING AFTER EATING. ULTRASOUND SCAN OF LIVER DETECTED MANY FOCAL LESIONS WHICH HAD DIFFERENT ECHOSTRUCTURES : SOLID HYPERECHOIC, HYPOECHOIC AND CYSTIC, with SIZE IN AVERAGE OF 1-2 CM OVER THE LIVER. THIS PATIENT HAD NO HISTORY OF INFECTED HBV OR HCV, BLOOD TESTS SHOWED RAISING OF WBC WITH PLATELET COUNTS IN HIGH VALUE. This case based on ultrasound images and one sonologist suggested that was to be microabscesses of liver due to parasites, but blood tests ruling out. 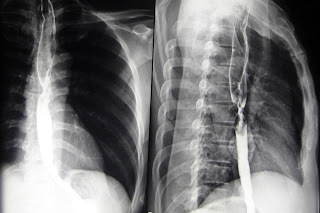 For making clear the symptom of vomitting, an esophago-gastric x-ray was done, and it suggested that a cancer of middle portion of esophagus. Biopsy confirmed a squamous cell carcinoma of esophagus, causing multifocal nodule metastasis in liver. 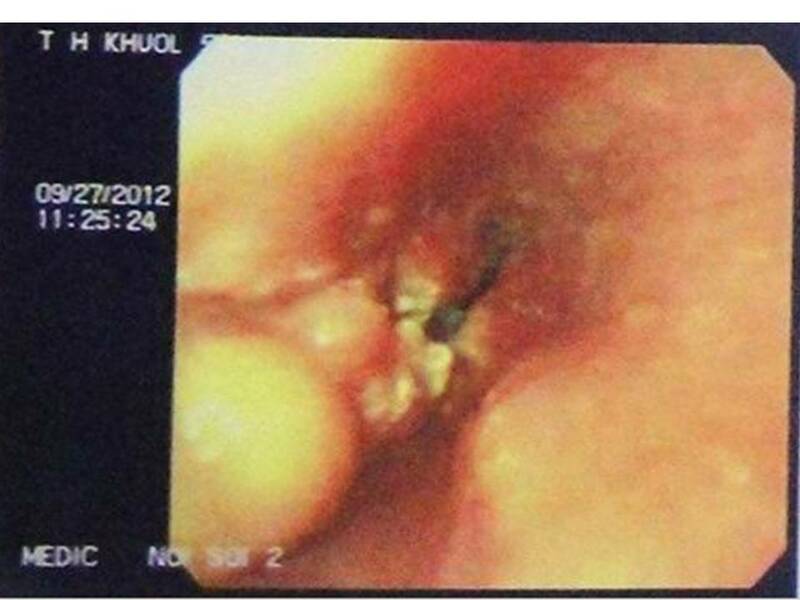 Do you thing this liver images by ultrasound are metastasis from the esophagus cancer ?. What is the most different diagnosis for this case ?